A man in New Mexico has been awarded $22 million after being tossed in solitary confinement for 2 years following a DWI arrest. KOB-TV's Marissa Torres reports. A New Mexico man who said he was forced to pull his own tooth while in solitary confinement because he was denied access to a dentist has been awarded $22 million due to inhumane treatment by New Mexico's Dona Ana County Jail. Stephen Slevin was arrested in August of 2005 for driving while intoxicated, then thrown in jail for two years. He was in solitary at Dona Ana County Jail for his entire sentence and basically forgotten about and never given a trial, he told NBC station KOB.com Tuesday night. "[Jail guards were] walking by me every day, watching me deteriorate," Slevin said. "Day after day after day, they did nothing, nothing at all, to get me any help." Slevin's medical problems extended beyond his dental issues, he said. His toenails started curling around his foot because they were so long, he told KOB.com. And his countless requests to see a doctor for depression medication were ignored, he said. He said his lawsuit "has never been about the money. I've always wanted this to make a statement." The $22 million, awarded by a federal jury Tuesday, is one of the largest prisoner civil rights settlements in U.S. history, according to KOB.com. "I wanted people to know that there are people at The Dona Ana County Jail that are doing things like this to people and getting away with it," said Slevin, who now suffers from PTSD and believes he will have to take medication for life as a result. "Why they did what they did, I have no idea." The mistreatment started from the moment his client was arrested, Slevin's attorney, Matt Coyte, told msnbc.com. "He was driving through New Mexico and arrested for a DWI, and he allegedly was in a stolen vehicle. Well, it was a car he had borrowed from a friend; a friend had given him a car to drive across the country," Coyte said. Slevin was depressed at the time, Coyte explained, and wanted to get out of New Mexico. Instead, he found himself in jail. "When he gets put in the jail, they think he's suicidal, and they put him in a padded cell for three days, but never give him any treatment." Nor did they give him a trial, Coyte said. Slevin said he never saw a judge during his time in confinement. After three days in a padded cell, jail guards transferred Slevin into solitary confinement without explanation. "Their policy is to then just put them in solitary" if they appear to have mental health issues, Coyte told msnbc.com. Dona Ana County officials were tight-lipped about the case, refusing to answer questions about whether any jail employees were reprimanded or fired over Slevin's treatment. "We do not discuss personnel issues," Jess Williams, Dona Ana County's public information director, told msnbc.com. Williams also wouldn't comment on whether the $22 million the county was ordered to pay would come from taxpayer money, saying only, "Dona Ana County will appeal the verdict." He said no county officials would answer questions about why Slevin was held for so long without going to trial, or any other questions related to the legal parts of the case. While in solitary confinement, a prisoner is entitled to one hour per day out of the cell, but often times, Slevin wasn't even granted that, Coyte said. He was deprived of showers and grew fungus underneath his skin. He lost his will to even want to get out and live in the outside world, Coyte told msnbc.com. "Your insanity builds. Some people holler or throw feces out their cell doors," he said. "Others rock back and forth under a blanket for a year or more, which is what my client did." 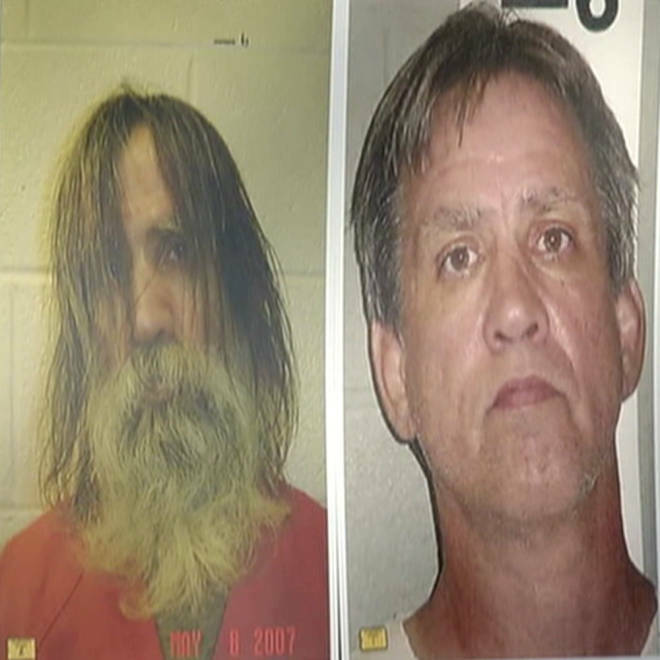 By the time Slevin got out of jail, his hair was shaggy and overgrown, his beard long, and his face pale and sunken, a drastic contrast from the clean-shaven booking photo taken of him when he was arrested two years prior. "Without that picture, we couldn't have gotten where we were," Coyte said of the lawsuit. Slevin has support from friends and his sister, Coyte said. "That's very helpful to him. He does have people to look after him." While Slevin spoke very briefly on-camera to KOB.com after the jury awarded him his verdict, his attorney said he is hoping for some privacy now. "Hs life has been devoted to survival [since his release from solitary]," Coyte told msnbc.com. "He is totally inequipped; he is hollow. They've removed his humanity from him." His suffering hasn't been in vain though, Coyte said. "He's a brave guy. When he says it's not about the money, he really means it. He wants no one to go through what he went through. And people do, in New Mexico and across this country."